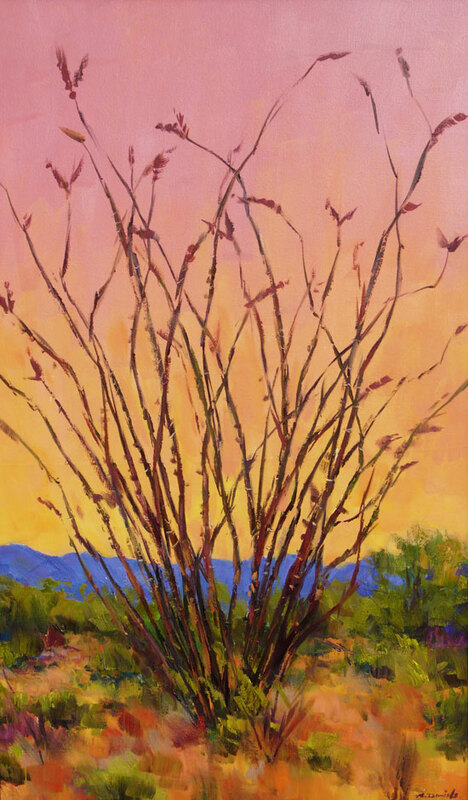 The beautiful impressionistic landscapes by Tucson artist Mark Daniels have brought the desert alive to many visitors, residents and art collectors alike. Mark spent his youth traveling with his family and being rerouted across North Africa and England where his father was frequently sent as a petroleum engineer. This time abroad exposed Mark to many cultures and the great music and museums of Europe. His art studies began at The University Of Houston & University of Texas, Austin continuing later through artists workshops through the Scottsdale Artists School. 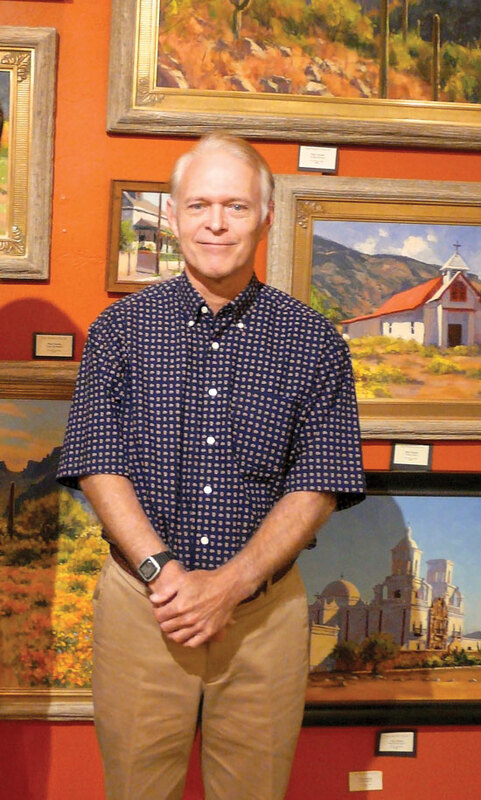 He has shown his work over the years in Taos & Santa Fe, NM and Sedona Az along with continued representation in Tucson since 1984. His oil paintings have been featured four times, 1994, 1995, 2003 & 2004 in the National Arts For The Parks prestigious juried exhibition of America’s finest- The National Parks. He was also included in 2007 & 2008 in “Russian Nights” shows at the Taos Art Institute at the Fechin House in Taos, New Mexico. 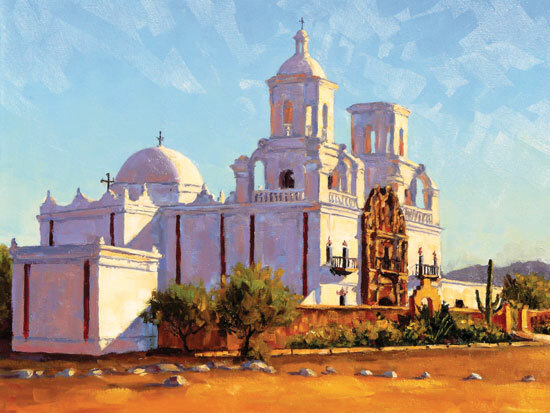 More recently last years Tucson Desert Art Museum and Jane Hamilton Fine Art “Missions Of The Southwest” featured a “San Xavier Mission” painting by Mark Daniels. 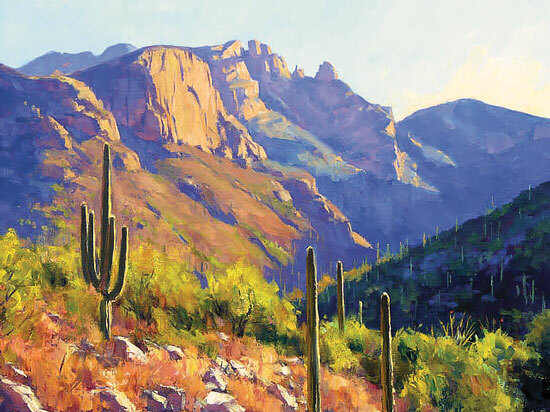 This season’s Tucson Desert Song Festival used an image of Mark Daniels on the cover of its 2016 program. Mark Daniels was represented by El Presidio Gallery and The Max Gallery until 2009 when he came to my gallery, Jane Hamilton Fine Art. 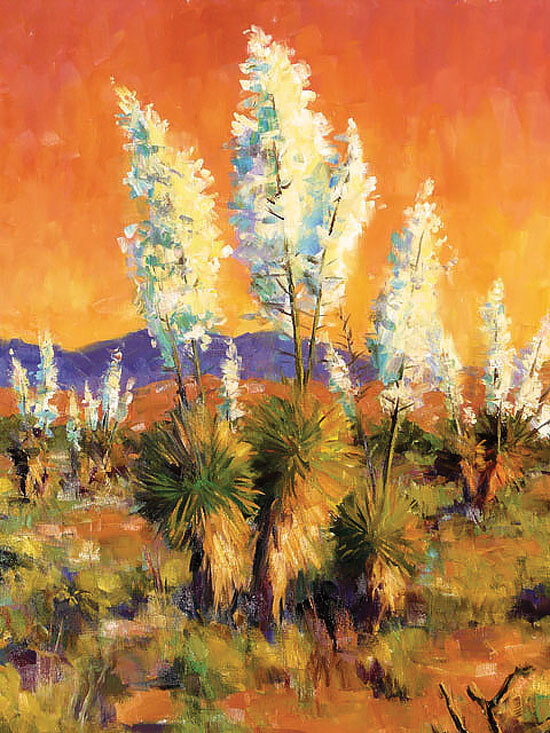 We were happy to take on his colorful romantic paintings of our view of the Catalina’s from the foothills ,bright shadow contrasted renderings of Pusch Ridge, sunset scenes of ocotillo, and daytime desert wildflowers in bloom. Mark Daniels also is a self taught classical guitarist and is also an amateur astronomer, having even built his own telescope a few years back. Sometimes we are treated by a view of Jupiter or Saturn.... if the sky is clear and the planets are close. His work has a unique following of the “western romantic” whether they live in the west or not.... the southwest dresses up a haunting and sometimes breathtaking monsoon land and sky, that people want to carry in their hearts- or sometimes on a canvas with an oil painting by Mark Daniels.